Dress to Impress, the annual professional clothing giveaway, is set for Wednesday, March 15, in Billingsly Student Center’s Connor Ballroom. Clothing donations are currently being accepted, and volunteers are being sought to help sort donations, set up for the event and volunteer to help students select job/interview attire during the clothing giveway. The event is a partnership between the Joplin Area Chamber of Commerce’s Young Professionals Network and Missouri Southern’s Career Services office. 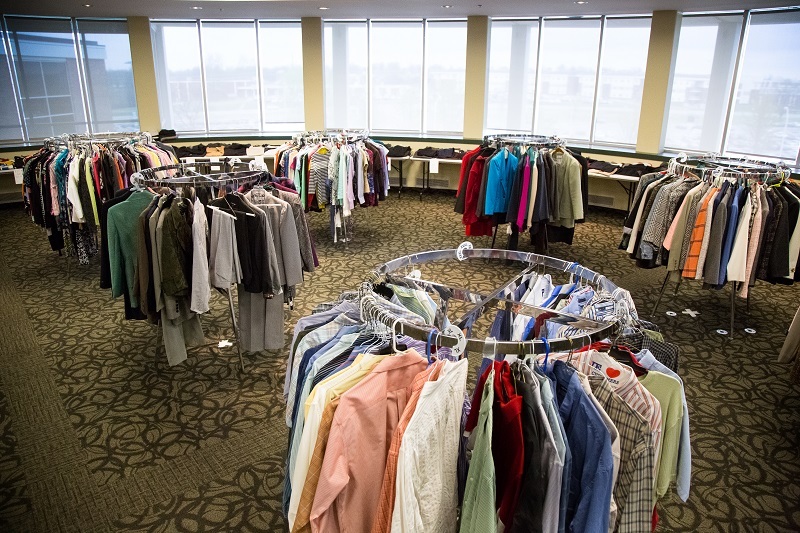 All sizes of gently used men’s and women’s professional clothing can be dropped off by March 6 at the Career Services office, Suite 207 of Spiva Library. If you would like to volunteer, follow the links below to sign up.